Emergency response teams have been at the scene in the Kware Pipeline Embakasi area. 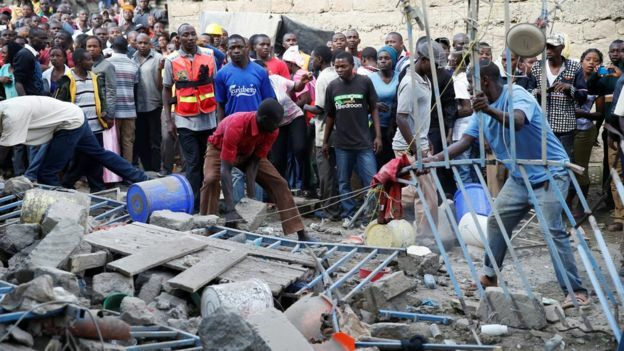 The co-ordinator of the rescue efforts, Pius Masai, said that more than 100 people had been accounted for, but five people were still trapped including a woman with her three children. Earlier reports said that 15 people were missing, but this figure has not been confirmed. "Rescue efforts are ongoing," Mr Masai said in a statement, and appealed for people with access to "cutters, drillers and any other extrication equipment" to help with the search.